The Nocturnal Times is giving away 2 VIP passes to see Nicky Romero & Friends for Protocol Miami during Miami Music Week at ORA Nightclub on Thursday, March 22. Specializing in personalized service and hospitality, ORA is a swanky nightclub mixing bold modernity with old-world glamour. Let the craft cocktails, flashy VIP tables, and authentic setting entice you into a luxurious night to remember hosted by Nicky Romero & Friends. Inspired by history’s greatest and most lavish nightlife moments, ORA provides a charming old European setting for an unforgettable evening. State of the art lighting and sound systems lay the foundation for a one-of-a-kind experience during MMW. Nicky’s imprint, Protocol Recordings, is home to a slew of the industry’s best including Bassjackers, Blasterjaxx, Calvin Harris, Don Diablo, Krewella, Kryder, Nervo, Paris & Simo, R3HAB, Thomas Gold, Tommy Trash, Tritonal, Vicetone, and many more. Founded in 2012, the internationally acclaimed independent label brings its core values of family, quality, transparency, and expertise to life. Hosting Thursday’s event at ORA, Protocol has ensured this will be a don’t miss prequel to all of your Ultra Miami festivities. The Dutch production master has reached the highest successes in the industry, scoring top spots on DJ Mag, Beatport, iTunes, and MTV charts to name a few. After playing all of the world’s most top-notch festivals including Tomorrowland, Ultra, Coachella, EDC Las Vegas, Sensation White, and many more, what comes next? 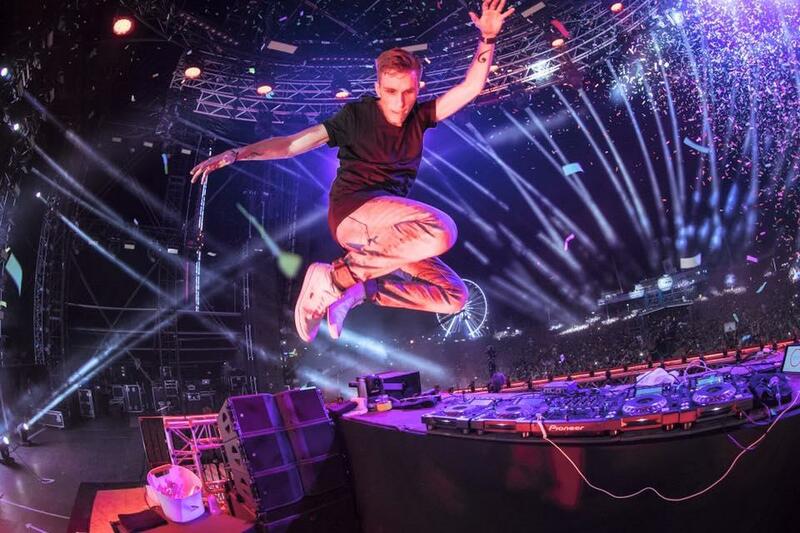 Come party with us and Nicky Romero while we celebrate his hit energetic performance via No. 1 tracks like “I Could Be The One” with Avicii, “Legacy” with Krewella, “Toulouse,” and “Symphonica.” With an extensive repertoire of originals and an endless list of remixes, Romero is bringing his musical roots to the forefront of Thursday’s blowout at ORA. Side by side with yet-to-be-announced cohorts, expect Romero to set sail amidst a soundtrack of his freshest and most kinetic records. ** All entries must be submitted by March 16 at 9pm EST. ** Contest open to applicants ages 21-and-over. For more information, tickets, and VIP table reservations visit here.